Pioneers in the industry, we offer water softeners from India. 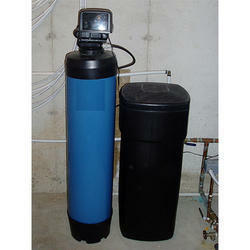 We were the leading producers of high-quality Water Softeners, provide a wide range of products. These softeners are of a highly compact design, and thus can be fitted easily. These softeners efficiently remove calcium ions and magnesium from the water in order to remove the hardness of water. These softeners have a strong body, are durable and are easy to very maintain. Our priority is the quality we only use high-quality raw materials. Further, we send our products for a series of quality checks in order to provide optimum satisfaction to our customers.